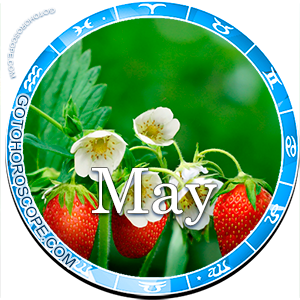 May 2016 Horoscope Gemini, free Monthly Horoscope for May 2016 and Gemini Astrology Forecast for the month ahead. 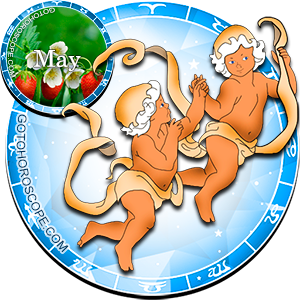 The zodiac sign Gemini in May of 2016 can count on formidable "bonuses" from their heavenly patrons. You are likely to attain the fulfillment of all your desires, and even more, you will be able not only to significantly strengthen your own position, but also to help those who are close to you take a more advantageous position. Such a situation will be possible to occur only because Saturn, your current exaltation, will be repeatedly enhanced by its general stellar position. Venus, the charming priestess responsible for the "fall" of your sign, won't lag behind and will be able to keep up with the lord of the rivers of time. So at the end of the spring the spells of the stellar goddess will be on your side, enabling all Casanovas to proudly raise their head, elegantly shaking off their bangs. All joking aside, among all the celestial objects of the solar system only Jupiter, traditionally responsible for the "expulsion" of your sign, is worth mentioning as it might exert a negative impact on your life. However, there are no reasons for serious concerns since its negative fluids will be far from powerful. The main thing for you is to avoid lounging on the couch, for the stars will require from you the most agile action. That's exactly what will bring you one step closer to success. Taking a closer look at the spheres of business and finance, in May of 2016 Geminis will have to, figuratively speaking, grab the bull by its horns, even if there's absolutely no urge on your part to act this way. Whether you want it or not you'll have to be in driver's seat, so get ready for hectic dynamics. Pluck up your will and try to focus on core tasks. It doesn't matter if you occupy a low-ranking position or you are one of the leaders, because people will listen to you anyway, for both your words and your actions will demonstrate exceptional productivity. Don't be put off by the sudden attention to your persona; it's just a matter of time. But even if you hold your new ground at the end of the current month, you won't have to work harder than usual. It will be enough to maintain a favorable mood and steadily move forward, experimenting and offering the most unusual, though certainly proven solutions. Don't distance yourself from your colleagues, even if some of them seem too intrusive. They are in need of competent assistance, even though they might not be aware of it. Be their lighthouse, a kind of magic wand and push them to making the right decision, but by no means perform all the work for them! 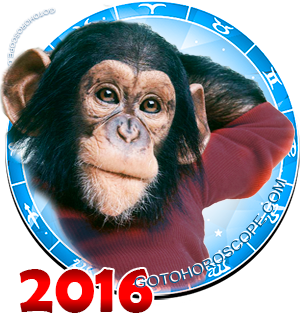 "Love life" in May of 2016 can be extremely epic for Geminis. This not a set in stone fact, but a probability, which, nevertheless, must be taken into account. Be especially considerate to your distant relatives; it's highly possible that one of them will play a key role in your destiny. This does not mean that all of a sudden you need to "inquire about the health" of your great-great uncle, who you've met only once in early childhood. There is no need for such formal gestures; everything will work out on its own, the way it should. Most importantly, steer clear of mundane routine. The dullness and gloom of everyday life is your main enemy during the current stage. Try your best to spend as little time as possible at home, which applies only to your house but not to your loved ones. Keep finding new ways of spending time and doing interesting things outdoors. Fortunately, the spring weather will come in handy and you'll be able to kill two birds with one stone. Take your significant other to the cinema, theater or just for an evening walk in the park. Don't be embarrassed to show your feelings. However, refrain from being too impulsive, and replace your recklessness with care.